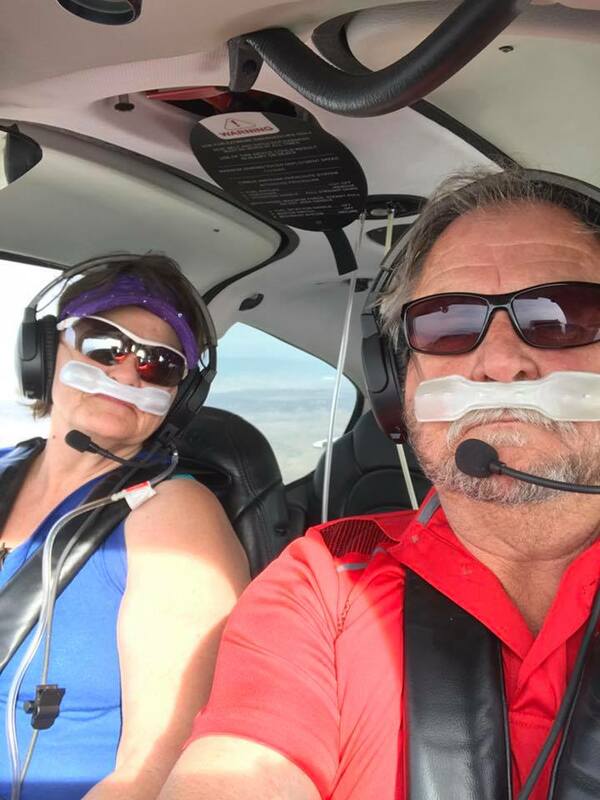 On March 31, 2019, about 1439 mountain daylight time, a Cirrus SR-22 airplane, N173CT, collided with terrain near Farmington, New Mexico. The private pilot sustained fatal injuries, and the airplane was destroyed. The airplane was registered to Casey's Aircooled Engine LLC., and operated by the pilot under the provisions of Title 14 Code of Federal Regulations Part 91 as a personal flight. Marginal visual flight rules (VFR) weather conditions prevailed at the accident site, and a VFR flight plan had been filed. The cross-country flight departed Cal Black Memorial Airport (U96), Halls Crossing, Utah, about 1345 with a planned destination of Big Spring Mc Mahon-Wrinkle Airport (BPG), Big Spring, Texas. According to the pilot's family, he had flown from his home base in Big Spring on March 29, and had spent the weekend in the Lake Powell, Utah area. He had flown the route at least a dozen times before, and was familiar with the terrain. Preliminary Federal Aviation Administration radar data for the day of the accident revealed a target that was believed to be the accident airplane departing the Halls Crossing area at 1351, and climbing on an eastbound track. About that time, while the target was climbing out of a transponder-reported altitude of 9,125 ft, the accident pilot made radio contact with Cedar City Flight Service Station to activate his VFR flight plan. During that communication exchange the briefer asked the pilot if he had the Airmen's Meteorological Information (AIRMET) for icing and mountain obscuration for the planned route of flight, to which the pilot reported that he did. About 1400, the radar target had reached 14,000 ft, and about that same time the pilot made a call to the Denver Air Route Traffic Control Center (ZDV), requesting VFR flight following. The controller accepted the request, and issued the airplane a discrete transponder code. Three minutes later, with the same, previously unidentified radar target about 30 miles southeast of U96, and at 15,000 ft, the target was positively identified as the accident airplane. The controller advised the pilot that he had established radar contact, and provided the pilot with the altimeter setting for Cortez Municipal Airport (CEZ), Cortez, Colorado. By 1409, the airplane had reached its highest altitude of 17,300 ft, and was about 50 nautical miles southeast of U96. A few minutes later, the target turned left, and began to track east. For the next 7 minutes its track began to slowly transition back to the southeast, after which the pilot was provided and acknowledged a frequency change by the ZDV controller. At 1428 the airplane was about 24 miles southwest of Farmington Airport (FMN), and the controller provided the pilot with the FMN altimeter setting. About that time, the airplane began descending, until at 1435, it had progressed another 24 miles, and descended to 9,300 ft. The controller then provided the pilot with the frequency for Albuquerque Air Route Traffic Control Center (ZAB), and the pilot read it back correctly. No other radio transmissions were received by controllers from either ZAB or ZDV, and at 1438:10, the airplane had descended to 8,575 ft, and began a descending right turn. The radius of the turn was about 3,200 ft, and the last recorded radar return from the airplane occurred 16 seconds later, with the airplane at 6,850 ft, and on a southbound track. Controllers from both ZDV and ZAB attempted to establish communications with the pilot. No responses were received, and an Alert Notice (ALNOT) was issued at 1512. A search and rescue mission was conducted by the Civil Air Patrol and the New Mexico State Police, and the airplane wreckage was discovered about 1700. The wreckage was located in flat high desert terrain, at an elevation of about 6,185 ft, 450ft southwest of the last recorded radar target, and 30 miles south of FMN. The first identified point of impact was a 4-ft-deep by 10-ft-wide crater which contained the nose landing gear assembly, two propeller blades, and fragmented engine and airframe components. Two matching linear impact marks, the total length of which corresponded to the airplane's wingspan, emanated from the crater on a north-south heading. The right wingtip and green navigation lens fragments were found at the tip of the northern mark, and red navigation lens fragments were located at the tip of the southern mark. The debris field was 450 ft long, on a heading of about 210° true (See Figure 1). The engine came to rest about 30 ft beyond the crater, and the remainder of the debris was composed of fragmented pieces of composite main cabin and wing structure, fanned out to a width of about 100 ft. The aluminum ailerons, elevators, and flaps were crushed and distributed throughout the debris field, and the farthest components were the left forward seat and a wing fuel cap. The rocket-powered airframe parachute was located in the center of the debris field. The harness cables remained attached to their respective airframe fittings, and the top of the parachute canopy remained folded evenly along its pleats, and had not unfurled. Although the canopy lines had extended to their full length, the solid-fuel rocket motor remained attached to the parachute assembly and had not been expended. These findings were consistent with the parachute system not having been activated in flight. Officers from the New Mexico State Police observed a storm passing through the high desert area south of Farmington on the afternoon of the accident. A Bureau of Land Management Law Enforcement officer who responded to the accident site that day, stated that upon his arrival skies were clear, but the ground was wet with rain from a shower that had passed through the area a few hours prior. 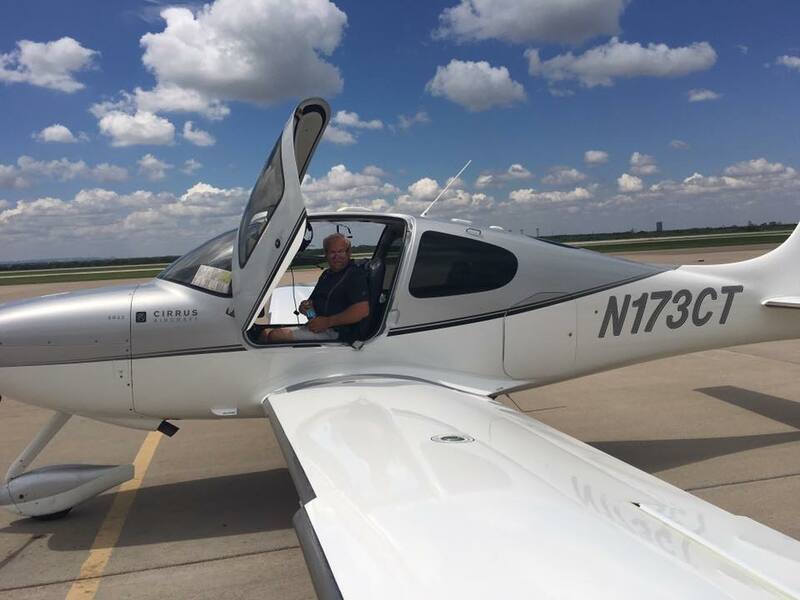 Marvin Monroe Casey, age 59, from Big Spring, Texas died on March 31, 2019 in New Mexico doing what he loved, flying his Cirrus SR22. Marvin was a longtime resident of Big Spring, Texas. He was born on April 7, 1959 in Houston, Texas. He was the owner of Casey’s Campers, which has been family owned since 1975. Marvin loved life to the fullest. He loved flying, hunting, camping, boating, spending time with his family and always was looking for new adventures. He worked hard so he could play hard. Marvin was always willing to help others and touched many lives. Marvin’s personality was always outgoing and fun-loving. He never met a stranger and everybody that knew him, loved him. Marvin will be truly missed and never forgotten. Marvin is survived by his wife Debra Casey of Big Spring; children: Johnathan Casey, Trista Hubbard and husband Brandy; grandchildren: Cassidy Casey, Aeris Casey, Kenna Bennett, McKenzie Hubbard, Addison Hubbard and Casey Hubbard, all Big Spring. Marvin is also survived by his parents: Monroe Casey and wife Renee of Big Spring and Jackie Curtis and husband Ray of Palisade, Colorado; one sister: Kimberly Blossom and husband Larry of Clifton, Colorado and one brother: Kyle Casey of Big Spring. FARMINGTON, New Mexico (KOSA) -- UPDATED AT 8:00 P.M.
A plane that crashed in northeast New Mexico left one West Texas man dead on Sunday. 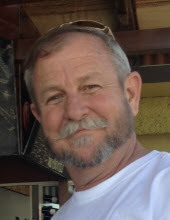 New Mexico State Police said 59-year-old Marvin Monroe Casey of Big Spring was pronounced dead on the scene. The Federal Aviation Association told us a Cirrus SR22 GTS X G3 Turbo was reported missing by Denver Air Traffic Control around 3 p.m. on Sunday afternoon. State police said the call came in about the downed aircraft around 4:15 p.m.
Federal Aviation Administration said it's last known position was about 50 miles south of Farmington. Federal Aviation Administration spokesperson Lynn Lundsford said the plane was en route to Big Spring. On Monday, Casey's two stores, Casey's Aircooled Engine LLC and Casey's Campers, were closed. Instead, purple memorial wreaths were left behind. A friend of Marvin said his memory will stay alive in the community of Big Spring. "Everybody in town knew Marvin. Funny. Always cracking jokes. You couldn't ask for a better man," Eagle said. According to the Federal Aviation Administration, the National Transportation Safety Board is in charge of the investigation. “I’m just so heartbroken. I can’t believe it," Eagle said. National Transportation Safety Board is investigating a downed aircraft in northwest New Mexico. According the FAA, the airplane was en route to Big Spring when it crashed. The pilot, 59-year-old Marvin Monroe Casey, died in the crash according to New Mexico State Police. The plane's tail number is registered to Casey's Aircooled Engine LLC in Big Spring. 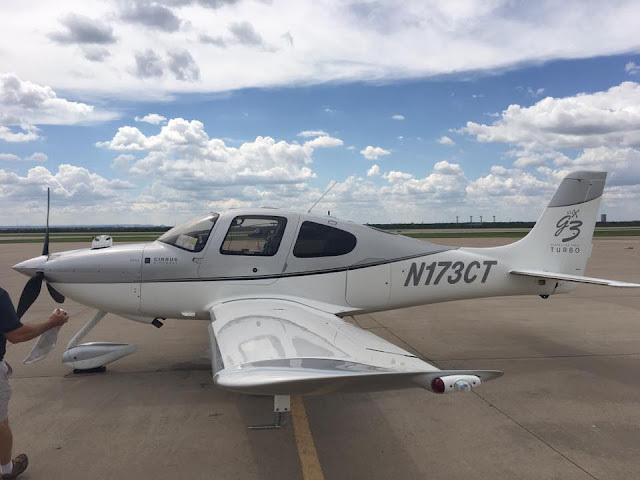 The Federal Aviation Administration told us a Cirrus SR22 GTS X G3 Turbo was reported missing by Denver Air Traffic Control around 3 p.m. on Sunday afternoon. The Federal Aviation Administration said it's last known position was about 50 miles south of Farmington. According to Federal Aviation Administration spokesman Lynn Lunsford, a Cirrus SR22 GTS X G3 Turbo crashed under unknown circumstances with one person on board. It's a nasal cannula ... you breathe through your nose as normal, and the cannula pumps a constant stream of oxygen in. At higher attitudes, cannulas aren't as effective. If you talk a lot or breathe through your mouth, you start to take in lower-oxygen air ... that reduces the amount of oxygen in your blood, and Federal Acquisition Regulation (FAR) limit their use to 18,000 feet. Cerebral hypoxia can be fatal. I live in Farmington, Bloomfield actually, and I happened to be listening to the scanner when someone (SARS?) announced that an aircraft was down. That got my attention. 30 minutes earlier I was coming back from town and I looked south toward the Bisti Badlands and said to myself - "I'm glad I'm not flying in that crap". There was heavy snow, virga, and generally not nice weather out there. It came from the NW, same direction as the Cirrus. On a whim I pulled up FlightRadar24, started a replay, and set the time a couple hours back. I didn't know what type of aircraft I was looking for or even what direction it was coming from. I knews SARS was "down south and east of the Bisti Badlands" so that's where I put the map center. As I was watching the replay someone on the scanner reported "successful parachute deployment so I started looking for a Cirrus. I'd set the time too early and even though it was running at 12x the Cirrus didn't show up right away. Air traffic was fairly light at the time I was searching so the Cirrus showed up (in Utah) and was pretty easy to spot. I hesitate to post the replay because the position is estimated and it's sad to watch. But, maybe it'll help. I won't speculate what happened. Log in so you can see the vertical speed deviations late in the flight. Once aircraft go below 10,000 MSL they are no longer on radar around here. The mesa is at about 6050 where the track shows that the Cirrus crossed 371. Again, the position indicates that it is estimated (I'll bet it's close). The link opens at the end of the replay so you will need to rewind. Don't forget to log in to see a little more detail. I looked up the accident flight on FlightAware and it appears the airplane was flying at a VFR altitude of 17400ft, from U96 to KBPG almost directly. I wonder if this was VFR into IFR conditions scenario. Approximately 37 minutes into the flight, he starts an even rate cruise descent of approximately -1000 fpm until radar loss. Groundspeed peaks at ~270 mph in the descent but toward the end it is stabilized at about 215 mph. The descent rate is never excessive. I wonder if the parachute was deployed by the pilot or post-impact? The ballistic parachute in the Cirrus doesn't deploy automatically. You have to pull a handle with significant down force. Forward motion ended and the aircraft went below 10,000 shortly after that. From another perspective. I put these points on Google Earth to get the distance. Pulled this data from a Cirrus site- The Cirrus descent rate while on the chute is from 15-28 fps. That's 900-1680 fpm or 10-20mph. The final descent rate of 1,536 is in the ballpark for chute deployed. As the canopy opens, the aircraft experiences a sharp pitch up, and its forward speed slows abruptly. During this “opening shock,” fliers can experience loads of 3 to 7 Gs. The last few minutes of the FlightRadar24 playback seems to indicate that he pulled the chute about the time he passed over 371 a little south of 7290, still on the 129 degree heading. Caveat, I think the data is fairly accurate but I have no way to confirm that. Weather radar coverage is nil in the area that he flew thru. If he was using onboard radar via one of the online services he would have never seen the snow storm that was happening in front of him. AviationDB shows he purchased the plane in August 2017. Go back and look at the flightradar24 link and you will notice that a Turbo Centurion T210M, N6020N, is flying ENE on a track south of the accident site at about the same time. That site and Flightaware shows that the T210 was on an instrument flight plan from Oxnard to Dalhart at 17,000 feet and then tries to climb to 21,000 near the accident area. The T210 then flies in a couple irregular circles and descends ultimately reversing course. It shows that it is "Diverted" southwest from his flight plan and lands in Gallup. N6020N spent the night in Gallup and departed the next morning apparently after things cleared up sufficiently. Either he didn't properly brief or didn't properly understand/respect the weather conditions. And then got into conditions that he was not trained or competent to handle. Even if VFR into IFR, with such a capable plane, he could have just stayed high, flipped on the autopilot and reversed out of the area in order to reroute or fly another day like the Turbo Centurion did. The pics show that the wings appear to have deice so that would give him more margin of safety. As said above too much plane and not enough pilot unfortunately. Thanks for pointing out the Turbo Centurion's path. I'll go back and watch for it. That further reinforces that the weather was not fit for flight at the level and time that he was flying through. It was pretty apparent that was the case from the ground. Most of the time I would snap a photo of the weather that I saw on Sunday afternoon and send to some other pilots that I've met up here but I didn't in this case. Even the people that have lived here all their life said that they don't usually see it move in as fast as it did on Sunday. It was a sad day... and a lesson to the rest of us. It's a lot easier to fly out of PSX than FMN. The weather here is fickle. The wind wraps up, around, and over the various mesas and does "funny little things". Down in PSX (about 90 miles from home) the big problem was fog and a little crosswind from time to time. I can live with that (I just don't fly, no instrument rating). I cannot get the flight to come up on flight aware? When these Cirrus’s come down under canopy, the story has always mentioned it. Seems like if he pulled his chute, the story would have mentioned the aircraft was found with the chute deployed. Really great posts here. The track of the centurion was quite telling on flightradar24. You sound like you’ve drank the “Cirrus is a dangerous airplane that rich guys that don’t know how to fly buy” cool-aid. As to the Cirrus being “slick”, I find it to be an incredible stable platform. As a low hour pilot, you shouldn’t be flying three different types of planes-I doubt very much you know the differences in the fuel, electrical, etc systems to know what’s going on in an emergency. And you don’t have a Chute if the engine stops in your rental beater. The maker has spoken on Cirrus. They sell 10-1 over what you fly. Join Cirrus Pilots and Owners Association and learn how to fly in a culture of Safety. www.cirruspilots.org. Looks like you’ve drank the Cirrus basher’s cool-aid. None of us know what happened here. It does look like it may have been vmc into imc, but it could have been hypoxia or any other number of factors. This pilot paid with his life. Rather than being a smug 200ish hour pilot who thinks he knows it all, why don’t you wait for the NTSB to publish their report. And on that note, I can’t think of too many more dangerous things than jumping into three different rental beaters ( 172, Warrior and Archer) and blasting off. Cirrus provides detailed transition training with ground and flight syllabi that take over 20 hours to complete. And that is for each type. I’ve spent over 30 hours transitioning from a 2007 TN to a 2018 22T. And I have 1700 hours in type. I doubt very much you know your systems in those three separate planes well enough to handle an emergency. And you don’t have a Chute to save you in the event you can’t find an airport to land at. Sorry for the tough love, but you were out of line. Join COPA (www.cirruspilots.org) and learn to fly surrounded by a culture of safety. The best $65 you’ll ever spend on aviation safety. Looks like Cirrus has trolls out trying to spin the story. They even post links, how convenient. Agree that the Cirrus salesmen are posting on this sight. But, that's what you have to do when your airplane has a lot of crashes. Cirrus has a very high accident rate and poor stall/spin behavior. As for pilots flying multiple types while still low-time, this is a terribly misguided criticism. As a 22,000 hour ATP/CFI, I and most other experienced pilots believe that practice actually improves ability and experience. When I read that statement, that poster lost all credibility instantaneously. I found out a little more details while visiting a friend at KFMN today. Some I won't share. The info came from someone that was on scene. (2) The track from FlightRadar24 was right. The aircraft disappeared at 10,000' which is the base of radar coverage in that area. He crashed further south which is consistent with what the news agencies reported. (3) There is no weather radar coverage up on the mesa where he was last seen on radar. I already knew that but numerous agencies confirmed it (2nd hand info). At this point I think we have a good idea of what happened. The FAA will come up with an answer based on a lot better info than any of us have. As far as the Cirrus being , I've never flown one but I would like to. The aircraft is passive. It does what it's told to do. Blaming the aircraft makes no sense. I don't know if his family will ever read these posts. I hope not. Just go with the most simple, and most likely cause; pilot error. There is no record of a pilot briefing (on line or any other source). There were AIRMETS for icing, turbulence, IFR, and mountain obscuration at the time. Radar indicated moderate to heavy precipitation in the area that he crashed. The nearest METAR to the accident site reported visibility less than 1 mile in snow. The pilot was receiving VFR flight following from Denver ARTCC, and was handed off to Albuquerque ARTCC, at which point he did not come up on their radio frequency and dropped off radar. VFR at 17,500 over the top of significant weather? How anyone could think this was a good idea is beyond me. Hey...I've got the chute if something goes bad, right? Problem is by the time he lost it, he was way over deployment speed. Take it to the lowest common level...Private Pilot, non-instrument rated, low time, complex aircraft, weather...it ain't that hard to figure out. It's happened thousands of times and will continue. RIP and condolences to the family. Sorry for the tough love. Another low time, non IFR pilot that is flying well over his experience and ratings. For as long as people can buy airplanes that are capable of luring them into false confidence, there will be accidents such as these. An interesting side note. The Cirrus has a fairly advanced auto pilot, wing leveler and altitude heading holds. I recently flew with a friend in his 2 year old SR22 on an instrument flight from central Calif to Las Vegas. The weather was solid IFR all the way with the tops averaging 8,000 feet. Once we passed the Hangtown VOR the turbulence increased substantially and we had yet to get on top of the overcast. The autopilot was only on altitude hold. We received clearance to our next and final cruising altitude of 16000 feet, but when it came time to input that and other changes into the autopilot, the turbulence made the button pushes nearly impossible. I wonder how many pilots encounter this, and stop flying the airplane to instead try to utton push, especially in turbulence. A crash a couple of years ago in Bakersfield where a family was lost outlines a similar scenario. Both of us on the flight I mentioned hand flew the Cirrus to altitude and newly assigned headings. We are both military trained pilots where it was engrained into our brains to fly the airplane above all else, never stop using the instruments. 1st Is there a way to DM on this blog? 3rd Marvin was a great guy and a good pilot he had more time than just getting his PPL way back his dad had a plane. Saying all that the first thought after "he had a heart attack" was VFR into IMC. Although it's hard for me to believe that because he did respect the weather and carried a tablet to keep up to date on weather. Even on a 20 min flight to a pancake breakfast we checked the weather. I wish you could DM but I don't know how either. I'm sorry for the loss of your friend. I believe you when you say that he always checked the weather but there is no weather radar coverage here, for anyone, not even ATC. If you don't know that, I didn't know that until I did some research about the crash btw and I live in Farmington, you could believe the weather was fine when it isn't (although the weather that day should have been obvious in the windscreen. It was very obvious on the ground). The Spring weather here is "squirrely" . Last Sunday aftn. I landed on Rwy 27 (at FMN), the wind sock at the touchdown zone showed a gusty direct crosswind from the left. At the other end of the runway it was a gusty, direct crosswind from the right. The weather that day, especially down south toward the Bisti Badlands and Cuba was horrible. bmyers isn't a Cirrus salesman, but he is the CPPP chair. I think I’ll pass on joining COPA. They are too smart for and old pilot like me. Also very defensive to the point of sounding insecure.